Is It Time to Move on To Vista? 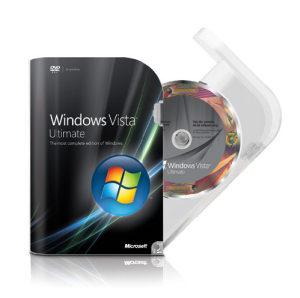 If you're unsure whether your system can run Vista with features of your choice (Basic to Ultimate), you can test it out using Windows Vista Upgrade Advisor software that you can download here. This is the new graphical user interface (GUI) which is said as an acronym for Authentic, Energetic, Reflective, and Open. This new interface is designed to be more cleaner (more transparent and brighter colors) and more aesthetically pleasing than the previous Windows. 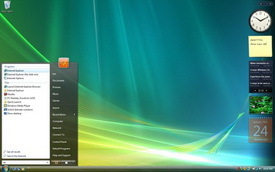 This feature includes new transparencies, live icons, Flip3D, and live preview of running application. Now in Vista you can give your PC more teeth when it comes to parenting matter. Why, because parents can now decide exactly what programs and applications their children run into when they login their account. More importantly you can now shut close the door to those forbidden forest of websites that are not allowed for children to lurk inside forever with this control. More to the addition, timer on how many hours they can play the computer and reports on their activity after that of course will raise your eyebrows. Ok ok it is not that new since you can also have the ability to backup and restore data and system file on previous Windows system. 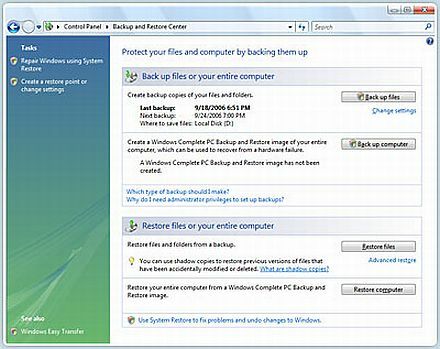 But here is the difference, the new Complete PC Backup option in Vista (available only in Ultimate, Business, and Enterprise versions) allowing the restoration of all data from a complete system failure as an image you can save into hard drive or burn to DVD. Complete PC Backup can automatically recreate a system Windows installation structure onto new hardware or hard drive. 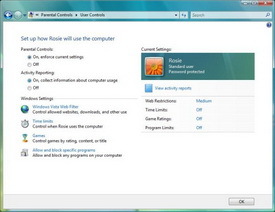 You can have the choice to run the feature from within Windows Vista or from the installation Cd in a case when you cannot start up normally. 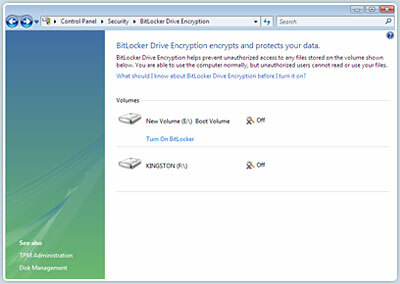 In Vista you are offered a technology called BitLocker Drive Encryption which allows you to encrypt an entire hard-drive on which the operating system and data are stored. This means, the entire hard drive is protected even if it’s stolen. This is important for those who are traveling a lot and chances of losing a laptop is very likely but having a lot of private and secret documents inside. Instant search offers new way of searching from previous windows which is significantly faster and more in-depth, because you can now search for contents inside the document not only the name of the properties of the file. This requires Windows to indexing all of the targeted area in which you want to scan. 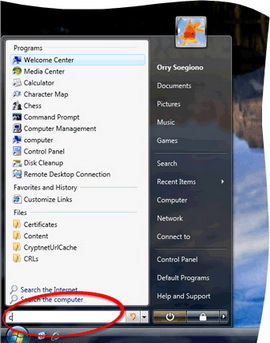 With this feature installed, now you can turn your PC into Media Center PC. Just pick up your remote and play it on. 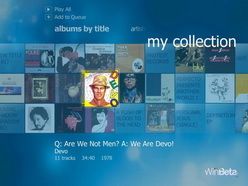 Note that in previous Windows version, this feature was previously bundled separately into Windows XP Media Center Edition. 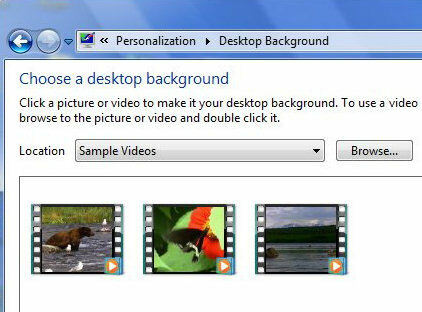 With this ultimate Extras, you can use videos in MPEG and WMV formats as your desktop background. So now you can show off to your friends your favorites movie scene while you are crawling half the screen within the internet. Even for now, you should consider Vista backward compatibility problems in which your old applications, be it utility softwares, multimedia applications, or games, that may work in XP but then completely or partially not work in Vista. This is very important for those of you who have already own older applications but have no plan to upgrade in the near time. Because there is a chance that your application cannot run completely in Vista, and the only choice you have is upgrading it (this is of course if the developer has released Vista compatible version). Anyway, the number of application that can run smoothly on Vista are relatively much lower compared to those that can work under XP. After all of that upgrade you do, you sure want to know if it worth it or not? Well some performance tests have proved that XP outperforms Vista in several productivity areas. And also please note that a machine running Vista takes a little longer to boot if compared to XP on the same system. This lack of performance cannot be blame to Microsoft themselves as the publishers and software developers are still shy away for this latest addition of Windows. But this might be change as more and more publishers take advantage the Windows Vista capabilities. But then the question is "Until how long?" Because beta release for Vista successor codenamed Windows 7 is already in the horizon. It won't be long before it meets a final release. And when it comes, where will Vista stands? With this slow rate of support from developers, it is hard to say Vista will reap the same status of Windows XP. But only time will tell.